The priority is to reset and charge the batteries to men with more minutes and those who are showing more signs of wear. The FC Barcelona coaching staff will face this week like a real oxygen ball that will allow them to influence some aspects that are starting to worry and occupy in the locker room. The fact that the team is released from the game on weekdays and that has a relatively affordable game at the home of the league before facing the challenge of the Champions has opened the possibility of elaborar a detailed road map with the aim of recovering players who are more 'punished' by fatigue. In the coaching staff have detected that there are several players who are beginning to notice the wear and tear of accumulating so many games followed and who are giving the first signs of fatigue. Hence the need to urgently reset these cases and schedule a series of training to recover them more optimally. We are talking about players like Leo Messi, Luis Suárez, Gerard Piqué, Ivan Rakitic, Sergio Busquets, Clement Lenglet and Jordi Alba, who they have played practically everything since the course began. In the case of Messi and Suarez, the aggravating circumstance of dragging discomfort is added, which further hinders recovery and optimal physical condition. In other cases such as the French Lenglet has been detected clear symptoms of muscle fatigue that could result in a future injury if not corrected in time. Valverde's intention is to give rest in the face of the league game against Valladolid to the greatest extent of these players, aware that in the coming weeks a terrifying calendar awaits them, with trips to Lyon, Seville and twice to Madrid. In principle, only three players -Alba, Rakitic and Piqué- would enter the starting line, while the rest would start on the bench or they would not be called. We said Alba because he was not in San Mamés for a sanction and maybe fifteen days without playing until the game of Lyon are excessive , while Rakitic is a player with a remarkable capacity of recovery as assured by the physical trainers and Piqué is the only one of this group that has not yet shown symptoms of wear in this phase of the season. Así then, the players with more load could have until nine days ahead to recover before the transcendental game before the Lyon. A kind of 'mini-season' to recharge and put the counter again to zero for a month of February simply terrible. 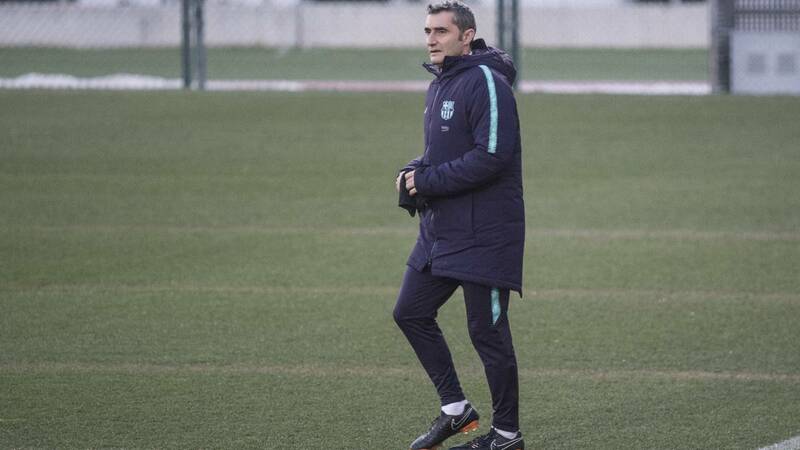 Y so that the 'reset' is successful Valverde granted two days of celebration to the template, que finally will be two and a half days, because the session scheduled for Wednesday at 11am will be at 5pm. The captains during the flight back to Barcelona convinced the coach about the need to have a few more hours of rest and Valverde agreed without problems to the request.